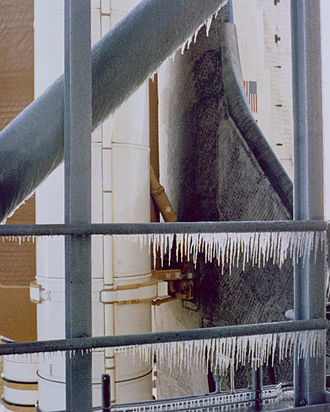 Plans called for Hubble to be serviced in February 2005, but the Columbia disaster in 2003, in which the orbiter disintegrated on re-entry into the atmosphere, had wide-ranging effects on the Hubble program. 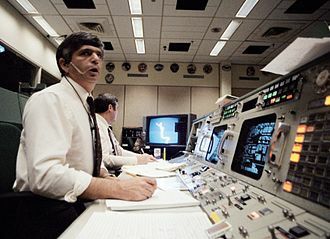 NASA Administrator Sean O'Keefe decided that all future shuttle missions had to be able to reach the safe haven of the International Space Station should in-flight problems develop. As no shuttles were capable of reaching both HST and the ISS during the same mission, future crewed service missions were canceled. This decision was assailed by numerous astronomers, who felt that Hubble was valuable enough to merit the human risk. HST's planned successor, the James Webb Telescope (JWST), was not expected to launch until at least 2018. 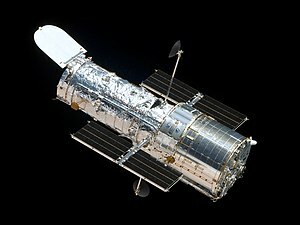 A gap in space-observing capabilities between a decommissioning of Hubble and the commissioning of a successor was of major concern to many astronomers, given the significant scientific impact of HST. The consideration that JWST will not be located in low Earth orbit, and therefore cannot be easily upgraded or repaired in the event of an early failure, only makes these concerns more acute. On the other hand, many astronomers felt strongly that the servicing of Hubble should not take place if the expense were to come from the JWST budget. 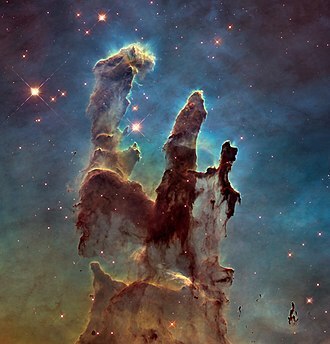 Wikimedia Commons has media related to Hubble Space Telescope. PerkinElmer produces analytical instruments, genetic testing and diagnostic tools, medical imaging components, software and consumables for multiple end markets. PerkinElmer is part of the S&P500 Index and operates in 150 countries, Perkin-Elmer was founded in 1937 by Richard Perkin and Charles Elmer as an optical design and consulting company. In 1944, Perkin-Elmer entered the business, and in the early 1990s. EG&G began in 1931, It was started by two MIT professors, Harold Edgerton and Kenneth Germeshausen in a Boston garage, the company was originally incorporated in 1947 as EG&G. Modern PerkinElmer traces its history back to a merger between divisions of what had been two S&P500 companies, EG&G Inc. of Wellesley and Perkin-Elmer of Norwalk, on May 28,1999, the non-government side of EG&G Inc. At the time, EG&G made products for diverse industries including automotive, aerospace, the old Perkin-Elmer Board of Directors and Officers remained at that reorganized company under its new name, PE Corporation. It should be noted that Perkin-Elmer purchased the Boston operations of NEN Life Sciences in 2001, in 1992, the company merged with Applied Biosystems. In 1997 they merged with PerSeptive Biosystems, on July 14,1999, the new analytical instruments maker PerkinElmer cut 350 jobs, or 12%, in its cost reduction reorganization. Following on from the selloff, a number of businesses were acquired, including Spectral Genomics, Evotec-Technologies, ViaCell. The brand Evotec-Technologies remains the property of Evotec, the owner company. PerkinElmer had a license to use the brand till the end of year 2007, PerkinElmer has continued to expand its interest in medicine with the acquisitions of clinical laboratories, In July 2006, it acquired NTD Labs located on Long Island, New York. The laboratory specializes in prenatal screening during the first trimester of pregnancy, in 2007, it purchased ViaCell, Inc. for $300 million, which included its offices in Boston and cord blood storage facility in Kentucky near Cincinnati. The Cosmic Origins Spectrograph is a science instrument that was installed on the Hubble Space Telescope during Servicing Mission 4 in May 2009. It is designed for ultraviolet spectroscopy of faint point sources with a power of ≈1. COS was developed and built by the Center for Astrophysics and Space Astronomy at the University of Colorado at Boulder, while STIS operates across a wider wavelength range, COS is many times more sensitive in the UV. The Cosmic Origins Spectrograph is a spectrograph that is optimized for high sensitivity. COS has two channels, one for Far Ultraviolet spectroscopy covering 115–205 nm and one for Near Ultraviolet spectroscopy spanning 170–320 nm. The FUV channel can work one of three diffraction gratings, the NUV with one of four, providing both low and medium resolution spectra. In addition, COS has a field of view NUV imaging mode intended for target acquisition. One key technique for achieving high sensitivity in the FUV is minimizing the number of optics and this is done because FUV reflection and transmission efficiencies are typically quite low compared to what is common at visible wavelengths. The 2.5 arc second diameter entrance aperture allows ≈ 95% of the light from sources to enter COS. Post launch performance closely matched expectations, instrument sensitivity is close to pre-launch calibration values, and detector background is exceptionally low. FUV resolution is lower than pre-launch predictions due to mid-frequency polishing errors on the HST primary mirror. 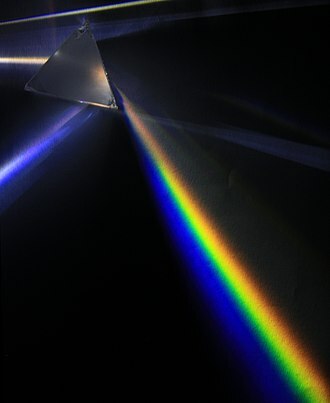 Observations are planned of extended objects, Spectroscopy provides a wealth of information about distant astronomical objects that is unobtainable through imaging, Spectroscopy lies at the heart of astrophysical inference. Detailed information on all of these properties can be gleaned from high-quality spectroscopic data, for distant objects, some of these properties can only be measured through spectroscopy. The UV offers access to features that provide key diagnostic information that cannot be obtained at other wavelengths. Obtaining absorption spectra of interstellar and intergalactic gas forms the basis of many of the COS science programs, in general, COS will address questions such as, What is the large-scale structure of matter in the Universe. A fine guidance sensor is an instrument on board a space telescope that provides high-precision pointing information as input to the observatorys attitude control systems. FGSs have been deployed on the Hubble Space Telescope, and will be deployed with a different technical approach on the James Webb Space Telescope, the system on Hubble uses an interferometric instrument In some specialized cases, such as astrometry, FGSs can be used as scientific instruments. The Hubble Space Telescope has three fine guidance sensors, two are used to point and lock the telescope onto the target, and the third can be used for position measurements - known as astrometry. Because the FGSs are so accurate, they can be used to measure stellar distances, the three FGSs are located at 90-degree intervals around the circumference of the telescopes field of view. To achieve the very high pointing accuracy Hubble needs, the FGSs have been constructed as interferometers to exploit the features of the in-coming starlight. Due to the sensitivity of the FGS they can not be used whilst the HST is pointed within 50 degrees of the Sun, a guiding system, called FGS, but using different technology, is planned for the James Webb Space Telescope. It provides input for the attitude control system. During on-orbit commissioning of the JWST, the FGS will provide pointing error signals during activities to achieve alignment, the JWST FGS, designed and built by COM DEV International, was supplied by the Canadian Space Agency. 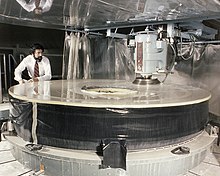 To save on mass and volume it was assembled in a unit containing the Near Infrared Imager and Slitless Spectrograph. The JWST FGS-Guider has three main functions, the first is to obtain images for target acquisition. The second is to acquire pre-selected guide stars, during acquisition, a guide star is first centred in an 8 ×8 pixel window. 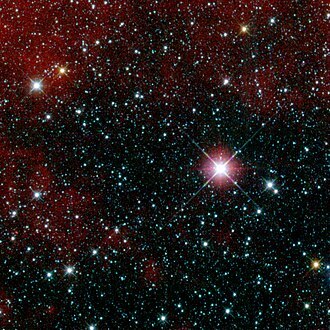 Finally, the third is to provide the ACS with centroid measurements of the stars at a rate of 16 times per second. These measurements will be used to enable stable pointing at the milli-arc-second level, the FGS will be sensitive enough to reach 58 µJy at 1.25 µm, and has a 2. 4×2.4 arcminute square field of view. The European Space Agency is an intergovernmental organisation of 22 member states, dedicated to the exploration of space. Established in 1975 and headquartered in Paris, France, ESA has a staff of about 2,000. The main European launch vehicle Ariane 5 is operated through Arianespace with ESA sharing in the costs of launching, after World War II, many European scientists left Western Europe in order to work with the United States. The meeting was attended by representatives from eight countries, including Harrie Massey. 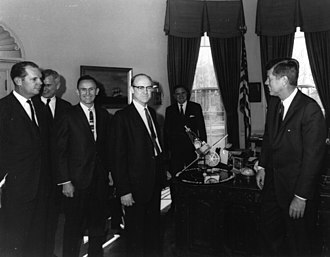 The Western European nations decided to have two different agencies, one concerned with developing a system, ELDO, and the precursor of the European Space Agency. The latter was established on 20 March 1964 by an agreement signed on 14 June 1962, from 1968 to 1972, ESRO launched seven research satellites. ESA in its current form was founded with the ESA Convention in 1975, ESA has 10 founding member states, Denmark, Germany, the Netherlands, Sweden and the United Kingdom. These signed the ESA Convention in 1975 and deposited the instruments of ratification by 1980, during this interval the agency functioned in a de facto fashion. ESA launched its first major scientific mission in 1975, Cos-B, ESA joined NASA in the IUE, the worlds first high-orbit telescope, which was launched in 1978 and operated very successfully for 18 years. A number of successful Earth-orbit projects followed, and in 1986 ESA began Giotto, its first deep-space mission, to study the comets Halley and Grigg–Skjellerup. Hipparcos, a mission, was launched in 1989 and in the 1990s SOHO, Ulysses. 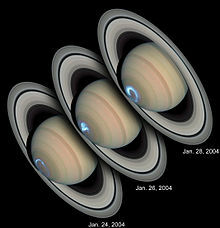 Recent scientific missions in co-operation with NASA include the Cassini–Huygens space probe, as the successor of ELDO, ESA has constructed rockets for scientific and commercial payloads. Ariane 1, launched in 1979, brought mostly commercial payloads into orbit from 1984 onward, the successor launch vehicle of Ariane 5, the Ariane 6 is already in the definition stage and is envisioned to enter service in the 2020s. The beginning of the new millennium saw ESA become, along with agencies like NASA, JAXA, ISRO, CSA and Roscosmos, one of the major participants in scientific space research. A reflecting telescope is an optical telescope which uses a single or combination of curved mirrors that reflect light and form an image. The reflecting telescope was invented in the 17th century as an alternative to the telescope which. Although reflecting telescopes produce other types of aberrations, it is a design that allows for very large diameter objectives. Almost all of the telescopes used in astronomy research are reflectors. Reflecting telescopes come in many variations and may employ extra optical elements to improve image quality or place the image in a mechanically advantageous position. Since reflecting telescopes use mirrors, the design is referred to as a catoptric telescope. 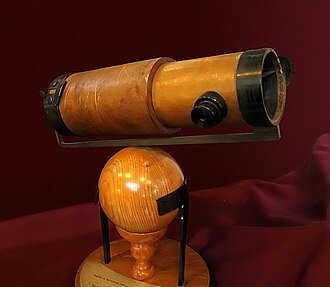 The idea that curved mirrors behave like lenses dates back at least to Alhazens 11th century treatise on optics, the potential advantages of using parabolic mirrors, primarily reduction of spherical aberration with no chromatic aberration, led to many proposed designs for reflecting telescopes. The most notable being James Gregory, who published a design for a ‘reflecting’ telescope in 1663. It would be ten years, before the experimental scientist Robert Hooke was able to build this type of telescope, Isaac Newton has been generally credited with building the first reflecting telescope in 1668. It used a spherically ground metal primary mirror and a diagonal mirror in an optical configuration that has come to be known as the Newtonian telescope. A curved primary mirror is the reflector telescopes basic optical element that creates an image at the focal plane, the distance from the mirror to the focal plane is called the focal length. The primary mirror in most modern telescopes is composed of a glass cylinder whose front surface has been ground to a spherical or parabolic shape. A thin layer of aluminum is deposited onto the mirror. Some telescopes use primary mirrors which are made differently, molten glass is rotated to make its surface paraboloidal, and is kept rotating while it cools and solidifies. The resulting mirror shape approximates a desired paraboloid shape that requires grinding and polishing to reach the exact figure needed. Hubbles law is considered the first observational basis for the expansion of the universe and today serves as one of the pieces of evidence most often cited in support of the Big Bang model. 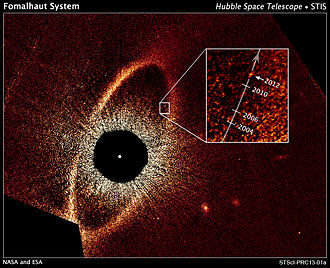 The motion of objects due solely to this expansion is known as the Hubble flow. Two years Edwin Hubble confirmed the existence of that law, Hubble inferred the recession velocity of the objects from their redshifts, many of which were earlier measured and related to velocity by Vesto Slipher in 1917. The law is expressed by the equation v = H0D. 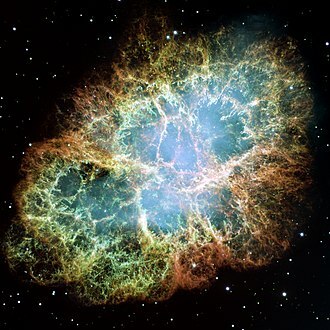 The SI unit of H0 is s−1 but it is most frequently quoted in /Mpc, the reciprocal of H0 is the Hubble time. Applying the most general principles to the nature of the universe yielded a solution that conflicted with the then-prevailing notion of a static universe. In 1922, Alexander Friedmann derived his Friedmann equations from Einsteins field equations, the parameter used by Friedmann is known today as the scale factor which can be considered as a scale invariant form of the proportionality constant of Hubbles law. Georges Lemaître independently found a solution in 1927. The Friedmann equations are derived by inserting the metric for a homogeneous and isotropic universe into Einsteins field equations for a fluid with a given density and this idea of an expanding spacetime would eventually lead to the Big Bang and Steady State theories of cosmology. In 1927, two years before Hubble published his own article, the Belgian priest and astronomer Georges Lemaître was the first to publish research deriving what is now known as Hubbles Law. According to the Canadian astronomer Sidney van den Bergh, The 1927 discovery of the expansion of the Universe by Lemaitre was published in French in a low-impact journal. In the 1931 high-impact English translation of this article a critical equation was changed by omitting reference to what is now known as the Hubble constant and it is now known that the alterations in the translated paper were carried out by Lemaitre himself. Before the advent of modern cosmology, there was talk about the size. 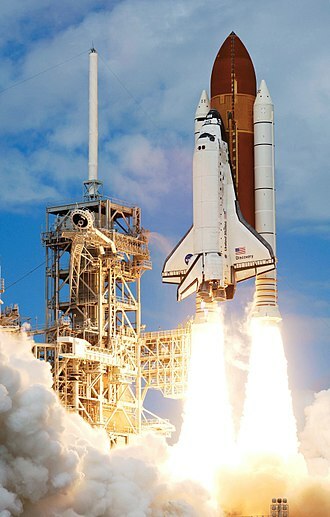 The Space Shuttle was a partially reusable low Earth orbital spacecraft system operated by the U. S. National Aeronautics and Space Administration, as part of the Space Shuttle program. Its official program name was Space Transportation System, taken from a 1969 plan for a system of reusable spacecraft of which it was the only item funded for development, the first of four orbital test flights occurred in 1981, leading to operational flights beginning in 1982. Five complete Shuttle systems were built and used on a total of 135 missions from 1981 to 2011, the Shuttle fleets total mission time was 1322 days,19 hours,21 minutes and 23 seconds. Shuttle components included the Orbiter Vehicle, a pair of solid rocket boosters. The Shuttle was launched vertically, like a rocket, with the two SRBs operating in parallel with the OVs three main engines, which were fueled from the ET. The SRBs were jettisoned before the vehicle reached orbit, and the ET was jettisoned just before orbit insertion, at the conclusion of the mission, the orbiter fired its OMS to de-orbit and re-enter the atmosphere. The orbiter glided as a spaceplane to a landing, usually at the Shuttle Landing Facility of KSC or Rogers Dry Lake in Edwards Air Force Base. After landing at Edwards, the orbiter was back to the KSC on the Shuttle Carrier Aircraft. The first orbiter, was built in 1976 for use in Approach, four fully operational orbiters were initially built, Challenger and Atlantis. 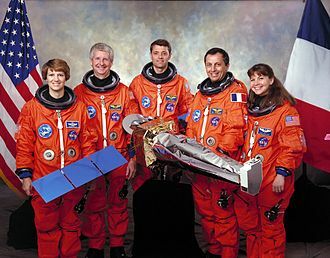 Of these, two were lost in accidents, Challenger in 1986 and Columbia in 2003, with a total of fourteen astronauts killed. A fifth operational orbiter, was built in 1991 to replace Challenger, the Space Shuttle was retired from service upon the conclusion of Atlantiss final flight on July 21,2011. 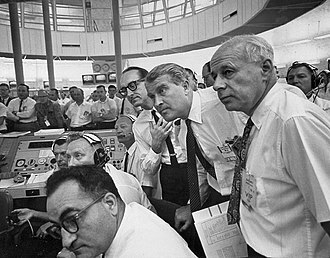 Nixons post-Apollo NASA budgeting withdrew support of all components except the Shuttle. The vehicle consisted of a spaceplane for orbit and re-entry, fueled by liquid hydrogen and liquid oxygen tanks. 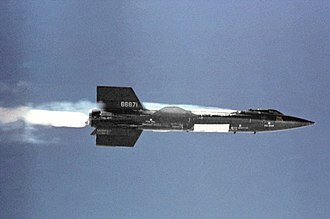 The first of four orbital test flights occurred in 1981, leading to operational flights beginning in 1982, all launched from the Kennedy Space Center, Florida. The Cosmic Origins Spectrograph in the cleanroom. Atlantis and Endeavour were launch pad neighbors for the last time, in preparation for STS-125. Atlantis at LC-39A prior to launch, after the RSS was retracted. John Grunsfeld uses a Nikon D2X with telephoto lens at an overhead window on the aft flight deck during flight day three activities. NICMOS's Hubble Ultra Deep Field. 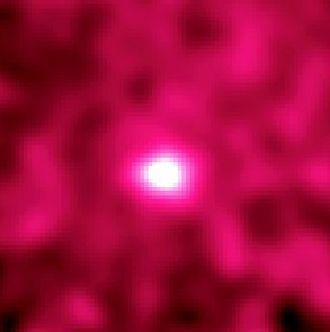 The instrument provided near-infrared views of the HUDF, extending the data available for that area. 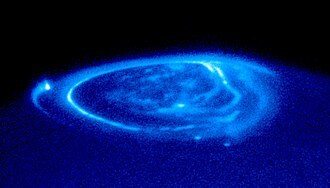 Ultraviolet image of Jupiter's aurora; the bright spot at far left is the end of field line to Io; spots at bottom lead to Ganymede and Europa. 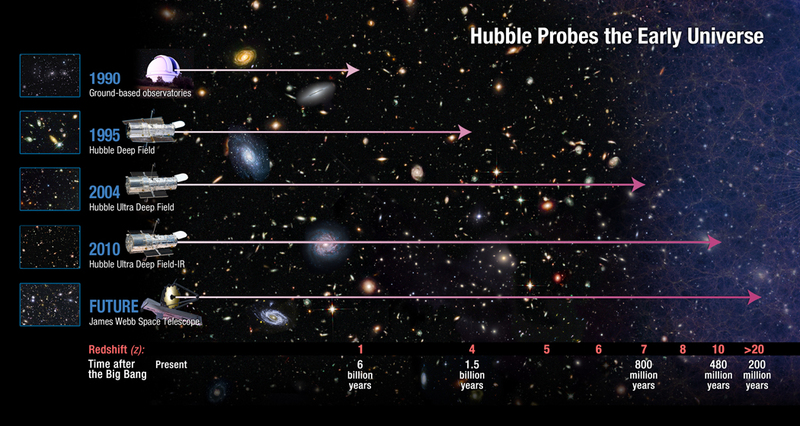 Three steps to the Hubble constant. A variety of possible recessional velocity vs. redshift functions including the simple linear relation v = cz; a variety of possible shapes from theories related to general relativity; and a curve that does not permit speeds faster than light in accordance with special relativity. All curves are linear at low redshifts. See Davis and Lineweaver. COS Optical Layout. FUV and NUV channels initially share a common path. The first optic is either a concave, holographically ruled diffraction grating that directs light to the FUV detector (red) or a concave mirror directing light to the NUV gratings and the NUV detector (purple). The green colored ray packets represent the FUV optical paths, and blue colored ray packets represent the NUV optical paths. A wavelength reference and flat field delivery system is shown at top left (orange ray packets) and can provide simultaneous wavelength reference spectra during science observations. After locking on to a bad guide star, Hubble's tracking system captured this image: the prominent red streaks are actually stars in globular cluster NGC 288.